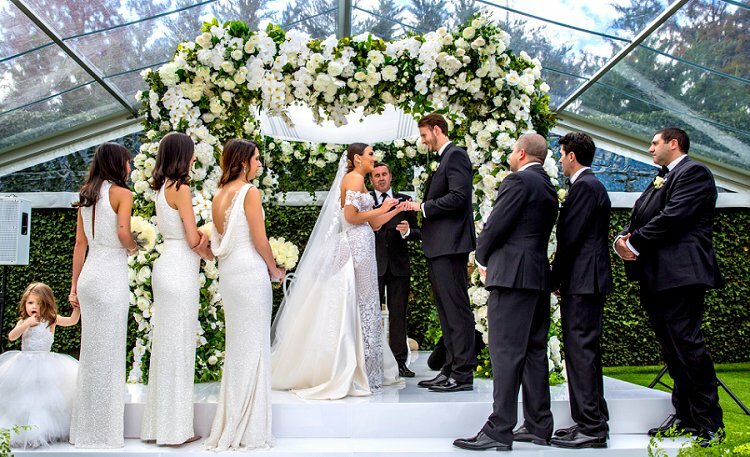 Before we get into the details of Samantha and Troy’s sensational super luxe Jewish wedding, there’s also something to be learned from the way that the happy couple met: always keep your eyes open – you could meet your soulmate anywhere. In this case, walking to your car! 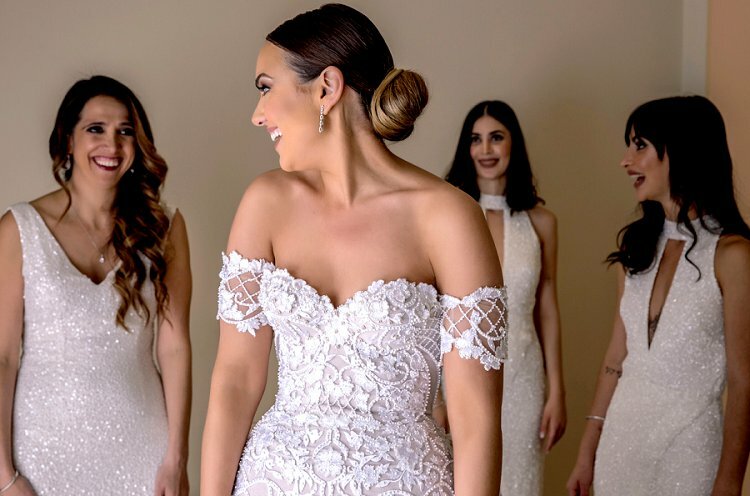 Today’s wedding is a total feast for the eyes as bride Samantha owns a fashion business, and brought her own sense of style to the aesthetic of the day. 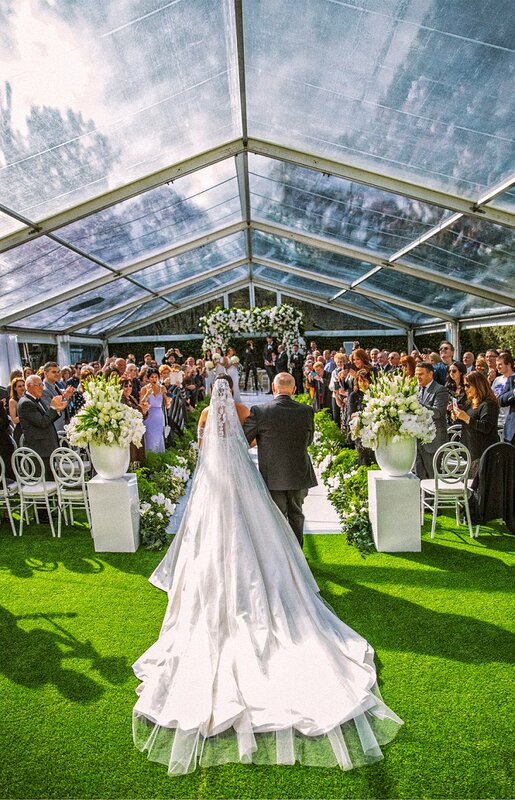 Samantha and Troy opted for a traditional white wedding at Samantha’s parents’ private residence in Melbourne, Australia. Adorned with an abundance of outstanding floral arrangements (THAT CHUPPAH!!) 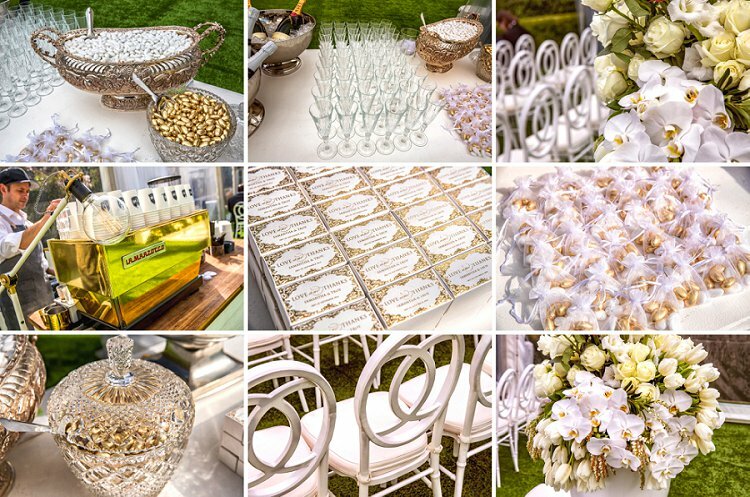 and styled to perfection, with not a detail missed, the day was so deliciously decadent, it really was the dictionary definition of a dream wedding – an absolute triumph for wedding planner, Styled by Coco. The day, of course, ended with a bang – a lot of bangs, actually, in an out-of-this-world fireworks display. 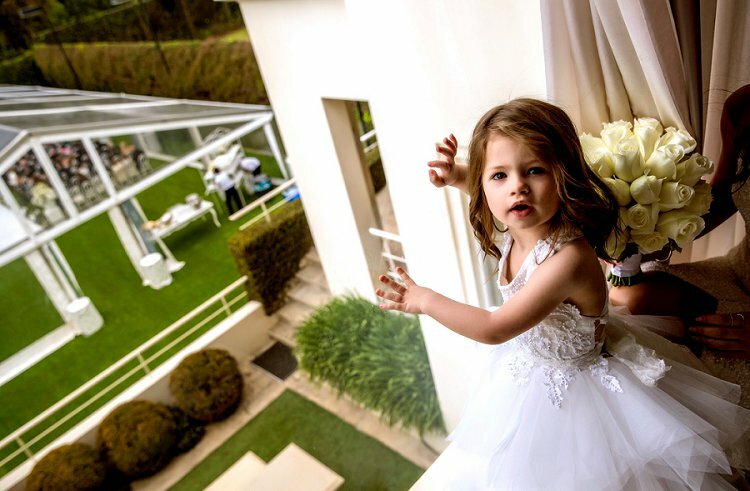 The impact of the dà©cor, and parts of the firework display, can be lived vicariously through the stunning and cinematic video by Untitled Images, which also brings to life the heartfelt and loving speeches delivered by the couple’s devoted friends and family. Bride Samantha looked straight from the pages of a glossy magazine in her breathtaking J’Aton Couture dress, flawless makeup and chic up ‘do. Samantha, the bride: We bumped into each other on a Friday night in September 2013, Keilor Road, Niddrie. Literally – bumped into each other. I was walking to my car, and Troy was out getting a bite to eat, when I bumped into his chest and then remarked how tall he was. After a brief conversation, we decided to grab a bite to eat together, nachos. We ate, chatted and exchanged phone numbers and that was it that night. We met up a couple of days later, struck up a conversation and decided to catch up again soon. A friendship was about to turn into a relationship. A few weeks later, I went a holiday that had already been planned, and I was thinking about Troy the whole time I was away. Troy was missing me too. On my return, the friendship did become a relationship as we proclaimed our love for each other. Six months later we were living together… and here we are today!